This USB cable has a standard USB A plug on one end with a type B plug on the other. It's used by many USB printers. 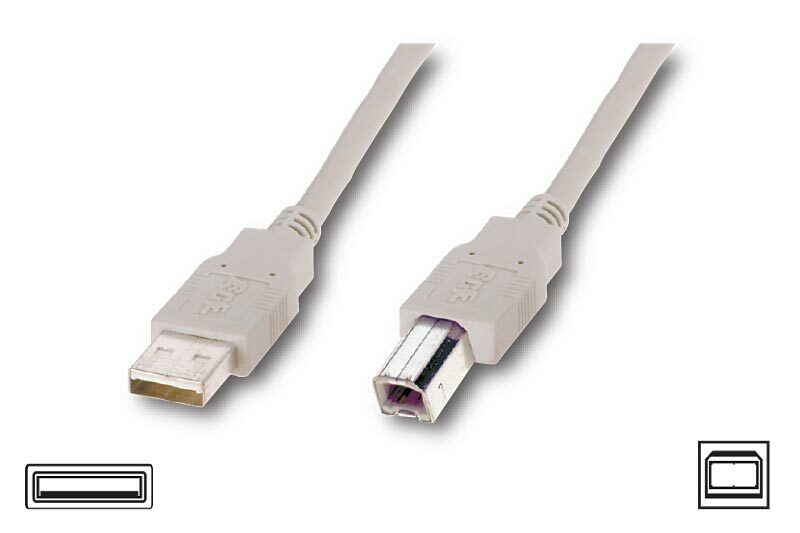 If you order a single USB cable, it will be flat packed and should fit through a standard letterbox.